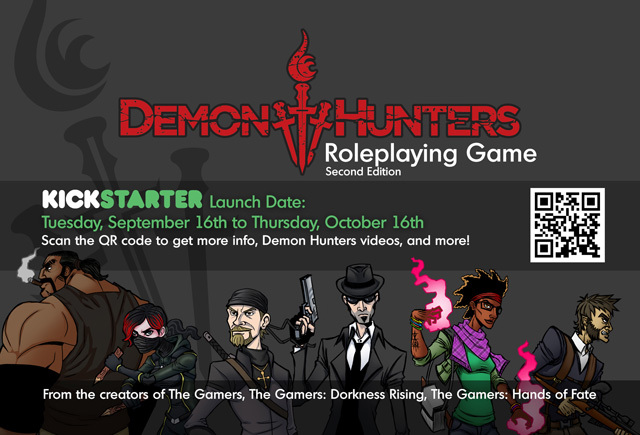 And hey, did you happen to catch the live-action return of Gabriel and Silent Jim in Demon Hunters: Eat In or Stakeout? 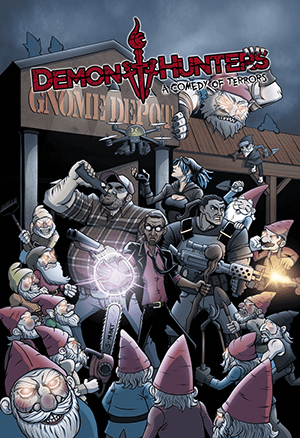 There’s 9 days left in the Demon Hunters RPG: A Comedy of Terrors Kickstarter campaign, and we’re less than $4000 away from our goal! If you haven’t already, go check it out and pledge your support! The short was fantastic! the comic looks great, all in all you guys are amazing! One of the few things that make me look forward to Tuesday. I’m noticing a distinct lack of things being thrown by Wolf exploding. Would the people Wolf throws suffer from the explosions? Which is why he’s not throwing them. 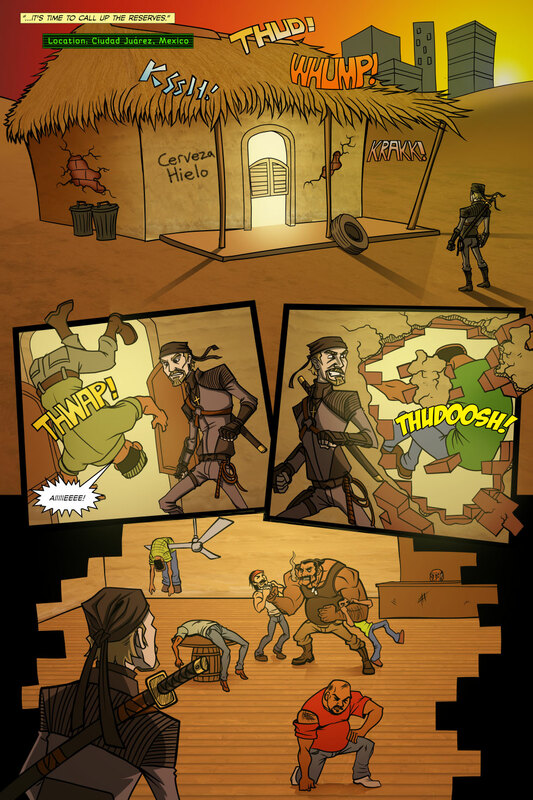 He saves that for wartime, not random cantina brawls. Their motion is the result of contact blows, not body throws. Hence not subject to the effect. In my head, that second frame is a Wilhelm scream. It is in my head, too. Though the vampires seemed to be someone less….itchy….than usual. Also, I want waffles now. Or tacos. I was pitching to Jimmy that we should code the site to play sound effects on select pages when the mouse hovers over them. This scene was one of them! And there’s a reason why Ben isn’t allowed to edit the website. Like a WAV of Don saying “Dumbass” every time the mouse passes of Silent Jim.